I have enjoyed various books from Max Lucado through the years and I thought that this sounded like a good one. Praying the Promises shares topics from the Bible, promises that God has made, and it helps us see how those topics affect our lives. This book is good for anyone looking to grow in their faith but it is also good for those who are struggling or those who have not come to believe in God yet. I like how short each of the writings is. They are easy to get through. I like how there is a lot of supporting scripture shared in this book. The way that this book is written makes it interesting and easy to read. Overall, I like this book and think that many others will like it, too. 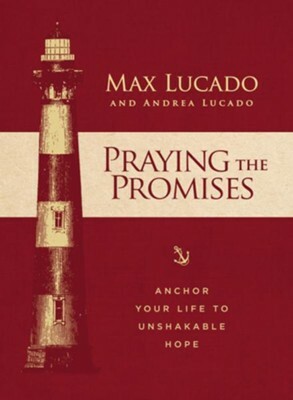 I give Praying the Promises 5 of 5 stars.